lending transactions by way of external commercial borrowings and rupee-denominated bonds issued overseas, or domestic loans. The choice of the above structures is, in addition to achieving the commercial intent of the parties, also driven by the variable statutory and regulatory limitations of different states and sectors of India. Since real-estate projects are typically developed and implemented through project specific special purpose vehicles (SPVs), which again typically are not publicly traded entities, a publicly traded real-estate owning entity can also explore any of the aforementioned options, subject to compliance with the securities regulations applicable to publicly traded companies. SEBI (Issue of Capital and Disclosure Requirements) Regulations, 2009 (the ICDR Regulations). The aforementioned regulations, among other things, prescribe additional compliance and disclosure requirements which have to be adhered to by the listed companies. For instance, share transfers beyond specified thresholds, corporate loans and investments, appointment and removal of key managerial personnel and directors, deliberations of the board concerning the buy-back of securities, increase in capital through bonus shares, acquisitions, sale and disposal of units or subsidiaries, any other restructuring etc have to be disclosed to the public in the manner prescribed under the aforementioned regulations. Further, the Takeover Regulations also provide that an acquirer proposing to acquire direct or indirect control of a company, or an acquirer that is entitled to exercise 25 per cent or more of the voting rights in a company, is restricted from acquiring more than 5 per cent or more of the voting rights or shares in such a company without making a public announcement of an open offer, thus affording the minority shareholders an exit opportunity. A real estate-related business combination is usually initiated by entering into a preliminary agreement, such as a term sheets, memoranda of understanding (MoUs) or letters of intent (LoIs). This may be binding or non-binding depending upon the intention of the parties, but each of these documents customarily provides for exclusivity of dealings as a binding commitment on the part of the land or real estate owner. During the period between the execution of the term sheet until the signing of the transaction documents, legal due diligence is undertaken and the structure of the transaction is negotiated and finalised. The drafting and negotiation of the transaction documents usually commences and runs parallel to the legal due diligence exercise and is finalised upon the completion of the legal due diligence exercise. Based on the outcome of the legal due diligence exercise, the transaction documents incorporate certain conditions precedent, conditions subsequent and also specific representations and indemnities. In the event the target entity is a listed company, additional care needs to be taken that the acquiring entity does not requisition any undisclosed price-sensitive information, and therefore the due diligence to be undertaken would be limited in nature and would have to comply with the information sharing stipulations set out in the PIT Regulations. Furthermore, in the event the acquiring entity is proposing to acquire shares or voting rights in a listed public company that entitle such a buyer to exercise 25 per cent or more of the voting rights of a company or from acquiring control over the listed target company, such an acquirer would also have to make a public announcement of an open offer, giving an exit opportunity to the minority shareholders in accordance with the terms of the Takeover Regulations. 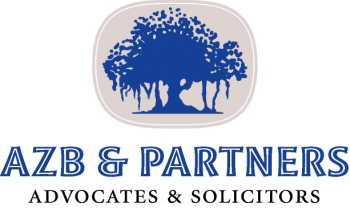 the Limited Liability Partnership Act, 2008. In India, the states are also empowered to enact legislation related to the land and related subjects. Different states have different legislation and codes dealing with real estate. Furthermore, deeds and documents evidencing conveyance, mortgage, lease etc of real-estate properties are subject to stamp duties, which vary from state to state. Accordingly, structuring options would also have to be analysed from a stamp duty efficiency perspective. The laws and the policies relating to investment in India by foreign investors or acquirers are enshrined in FEMA and the regulations prescribed thereunder. Further, the government of India, through the Ministry of Commerce and Industries and the Department of Industrial Policy and Promotion, formulates foreign direct investment (FDI) policies. Such policies are suitably incorporated by way of amendments in the regulations framed under the FEMA. However, FDI is prohibited in real-estate business, which is defined as dealing in land and immovable property with a view to earning profit, but excludes the construction and development activities referred to above, and earning of rent or income on leasing the property, not amounting to a transfer. Further, 100 per cent of FDI under the automatic route is also permitted in completed projects for the operation and management of townships, malls and shopping complexes, and business centres. Foreign investors seeking to invest in Indian companies by subscribing to non-convertible debentures are required to obtain prior registration as Category I, II or III foreign portfolio investors (FPI) under the SEBI (Foreign Portfolio Investors) Regulations 2014 (the FPI Regulations) by submitting an application for a certificate of registration to the concerned designated depository participant. Upon obtaining such registration they can invest in unlisted or listed non-convertible debentures of an Indian company. developers of special economic zones subject to certain restrictions on maturity period and end-use prescriptions. Foreign investors can also participate in overseas private placement offers or listings of rupee-denominated bonds in a Financial Action Task Force-compliant jurisdiction by an Indian entity to raise finance for undertaking activities such as the development of integrated townships or affordable housing projects. The governing law for definitive agreements of real estate-related business combinations can be a decided by mutual consent of the parties to such agreements, particularly when it comes to a cross-border investment transaction in real estate. While determining the jurisdiction of courts in the definitive agreements of a real-estate transaction, in the case of domestic contracting parties, due consideration should be given to where the immovable property, being the subject matter of the definitive agreement, is located since the courts within whose limits the immovable property is located will have territorial jurisdiction to try disputes pertaining to such immovable property in accordance with the Indian Civil Procedure Code, 1908. Under the PIT Regulations, the promoters, employees and directors of a listed company have certain one-time and continual obligations for disclosures to the company, which relate to the holding of securities in a company by such persons and the trades made by them, specifically where such trades breach the specified threshold under applicable laws. Further, the company is obligated to further disclose such information to the concerned stock exchange. In addition to the above-mentioned disclosure requirements that are applicable to all listed public companies, certain additional disclosures, as prescribed under RERA, have to be made by all companies engaged in the development, sale, marketing or advertisement of real-estate projects. ensure that there are no direct or indirect conflicts of interest with the company. Additionally, a company’s key managerial personnel, directors and officers deriving immediate authority from the board, or key managerial personnel can be designated as ‘officers in default’ for the purposes of compliance with the Companies Act 2013. Under Indian law, the duties of controlling stakeholders, such as promoters, are comparatively less than those as compared to directors and other officers of a company. However, similar duties can be contractually prescribed to such controlling stakeholders. altering of a company’s articles of association resulting in the conversion of such a company from a public company into a private company. Further, the Companies Act 2013 also prescribes that the board of directors cannot exercise power in certain matters, except with the consent of the shareholders by a special resolution. Such matters includes sale, lease or otherwise disposition of the whole (or substantially the whole) of the undertaking of the company or where the company owns more than one undertaking, of the whole (or substantially the whole) of any of such undertakings. The Companies Act 2013 also enables minority shareholders holding one-10th of the issued share capital of a company to file a suit for oppression or mismanagement before the National Company Law Tribunal. Further, minority shareholders, if they exceed 100 in number, can file a class action suit to restrain a company from undertaking actions that are ultra vires its charter documents. Under the ICDR Regulations, certain types of transactions, such as undertaking a preferential issue of securities, cannot commence unless a prior special resolution approving such issue has been obtained. The Takeover Regulations also protect the minority shareholders’ interests by ensuring that an acquirer proposing to acquire direct or indirect control of a company or an acquirer that is entitled to exercise 25 per cent or more of the voting rights in a company is restricted from acquiring more than 5 per cent or more of the voting rights or shares in such a company without making a public announcement for open offer, thus ensuring that minority shareholders have an exit opportunity. Acquirers who are registered holders of more than 90 per cent of the equity share capital of a company can structure around the risks posed by shareholder dissent by undertaking a minority squeeze-out, in accordance with the Companies Act 2013. Termination fees or breakaway fees can be contractually agreed in transaction documents for a real-estate transaction, so that such fees are payable by the acquirer to the target company or the promoter of the target company, or by the target company or promoter to the acquirer to ensure that neither party reneges on their obligations during a transaction. Typically, where the target company or its shareholders dissent to proceed or fail to complete the conditions precedent, the investors may be entitled to seek specific performance or have a pre-agreed amount as damages payable by the company or shareholders that would, among other things, account for all expenses incurred by the investor on the transaction. the procedure for settlement and acceptance of offer. Accordingly, any termination fees mentioned in the transaction documents will have to be disclosed in the draft offer letter, and will be scrutinised by SEBI, which might seek clarification or direct modification of the letter. Hostile takeovers are uncommon in India and the disclosure requirements set out in the Takeover Regulations mandate that any person (including the persons acting in concert) that acquires five per cent or more of the shares has to disclose their activities to the stock exchange and the target company. Further, additional acquisitions also have to be disclosed to the stock exchange and the target entity. This gives an opportunity to the management of the target company to either increase its shareholding in the company or to get a person perceived as friendly to the management to acquire a shareholding in the target entity. Additionally, defence strategies can be formulated on a case-by-case basis to thwart a hostile takeover. A public target company would be required to provide advance notice to its shareholders based on the type of real-estate transaction contemplated. Under the Companies Act 2013, a company is required to give a prior notice to shareholders for convening a shareholders’ meeting for matters requiring a shareholders’ resolution such as private placement of securities or issue of securities on a preferential basis. Typically this notice must be given 21 days in advance; however, shorter notice can be provided subject to fulfilment of certain criteria. During a shareholders’ meeting a resolution can either be passed as an ordinary resolution or a special resolution. Ordinary resolutions can be passed by a simple majority of shareholders whereas special resolutions can only be passed if the votes cast in favour of such resolutions exceed the votes cast against such resolution in a ratio of 3:1. As described above, shareholder approval is required to pass ordinary and special resolutions at a shareholders’ meeting of the listed public company. Additionally, in certain transactions (eg, schemes of arrangement) shareholder approval can only be sought once an application is submitted to the National Company Law Tribunal, which then passes an order convening a meeting of the members of the company, wherein such members must approve the scheme by a three-quarters majority. Real-estate transactions typically involve payments of stamp duty, registration charges, and a goods and services tax (depending on the nature of the transaction). For a sale of immovable property that is held as an investment, the profits or gains arising from transfer or disposal of real estate will likely be subject to capital gains tax in the hands of the transferor (unless a specific exemption applies). Similarly, in the event of a share transfer arrangement wherein the seller sells shares (which are held as investment) of a land-holding company to a purchaser, the profits or gains arising from such transfer will likely be subject to capital gains tax in the hands of the seller (unless a specific exemption applies). Additionally any development rights arrangement, joint development arrangement or any other revenue-sharing arrangement will involve a levy of goods and services tax. As stated above, tax issues depend on various parameters and are highly critical when evaluating a real-estate structure. The acquisition of the business or assets of a company could give rise to transaction costs in the form of stamp duty, capital gains tax, goods and service tax etc, and transactions will have to be examined on a case-by-case basis for the evaluation of tax efficiencies. Acquisition vehicles in real-estate transactions until recently were private limited companies. However, now (depending on the nature of investment, investor and the transaction) limited liability partnerships (LLPs), are frequently being considered as acquisition vehicles. liability arising from utilising such vehicle. authorising an officer of the company to coordinate the service of notices to the creditors and debenture holders of the company, SEBI, and any other concerned regulatory authority. Additionally, a listed public company will also have to, among other things, comply with the provisions of SEBI (Delisting of Equity Shares) Regulations, 2009.
on the date of the hearing the National Company Law Tribunal may pass an order approving or disapproving the petition. Non-binding preliminary agreements such as term sheets, MoUs and LoIs are typically executed prior to the execution of the definitive agreements, and the negotiation and finalisation of the definitive agreement. Non-binding preliminary agreements are primarily executed so that parties can obtain a brief outline of the commercial entities involved in the real-estate transaction to be pursued, the proposed rights and obligations of the parties, and the commercial understanding sought to be achieved in such a transaction. Generally, the clause related to the exclusivity and the confidentiality clause are made binding on the parties. Where such preliminary agreements are followed by payment of advances, these preliminary agreements are binding on the parties. The clauses that the parties decide to make binding can be judicially enforced in a court of law. compliance with laws such as environmental laws and local land laws. These R&Ws are generally followed by highly negotiated indemnity provisions in the definitive agreement. A buyer’s ability to gradually acquire an interest in a public target is subject to certain compliances prescribed under the Takeover Regulations so as to ensure the protection of the interests of the public shareholders of a company. As per the Takeover Regulations, any acquisition of shares or voting rights by a buyer that results in such a buyer, and persons acting in concert with such a buyer (a PAC), holding more than 5 per cent of the total shareholding or voting rights of a listed public company will trigger a disclosure requirement. Furthermore, such buyer will be required to disclose every additional change in the shareholding or voting rights, where such change exceeds 2 per cent of the total shareholding or voting rights of such company. A buyer is restricted from acquiring shares or voting rights in a listed public company that entitle such a buyer to exercise 25 per cent or more of the voting rights of a company or from acquiring control over the company without making a public announcement for open offer. Lastly, a buyer, along with a PAC (if applicable), which has acquired shares or voting rights enabling such a buyer to exercise 25 per cent or more of the voting rights in a company is restricted from undertaking any gradual acquisition of shares or voting rights in a listed public company resulting in the acquisition of more than 5 per cent or more of the shares or voting rights of company, without making a public announcement for open offer in accordance with the Takeover Regulations. In certain circumstances, the buyer proposing to acquire 25 per cent or more of the voting rights or control of a company can apply for an exemption from the requirement of making a public announcement for open offer, upon fulfilment of certain criteria as stipulated in the Takeover Regulations, such as the acquisition being made pursuant to an inter se transfer of shares among immediate relatives or promoters, or the acquisition being undertaken in the ordinary course of business, such as invocation of a pledge by a public financial institution or scheduled commercial bank. It may be noted that, the aforesaid limitations are inherent in applicable laws and regulations and therefore may or may not be built into organisational documents. the quantum, limitation on, and time period within which the buyer can seek indemnification from the seller. Typically, in cases of 100 per cent acquisitions (whether through sale of shares of companies owning assets or outright purchase of immovable property through sale deeds), there are no termination clauses, and buyers have remedies of indemnities (if agreed) or other statutory remedies of seeking damages under law. Agreements, other than above, usually contain clauses on termination for non-performance. Upon closing of a real-estate transaction, the acquirer typically bears the liability in relation to all environmental non-compliances pertaining to such immovable property after the completion of the transaction. Prior to the closing of a transaction, any liability arising due to the non-compliance with the environmental laws is usually (and if covered under the contract) on the account of the seller. In cases where the transaction involves sale of shares of a company owning the land or project, then the liability continues to be of such company, however, the transaction agreements may (depending upon the negotiated arrangement) contain representations for the period prior to closing of the transaction along with corresponding indemnities. financing of the project and branding of the projects. In the context of real estate-related transactions involving the sale of leased-out immovable property, the typical covenants made by the sellers are with the enforceability and validity of leases in the premises along with details of the rent roll, security deposit and payment of the maintenance charges. The sellers are also required to disclose if there are any defaults on the part of the seller or the lessee in relation to the project. Further, the sellers are also required to provide a non-compete and non-solicitation warranties stating that the seller shall not construct any real-estate project within an agreed radius from the immovable property and that the seller will not solicit any existing lessee from the property. The legal due diligence exercise primarily focuses on determining whether the seller has a clear and marketable title to the immovable property proposed to be acquired or that forms part of the real estate-related business combinations. A title search for a period of 30 years is conducted on the immovable property to ascertain its title flow of the property. Additionally, the title search will also involve searching for litigation, winding-up petitions or insolvency petitions pertaining to the immovable property or the seller from the available records. In cases of the purchase of a company by the purchaser, legal due diligence is also undertaken to cover the aspects related to the seller’s corporate structure, business compliances, existing key or material agreements, intellectual property rights, financing arrangements, employees, and litigation to which the seller is a party. Other than the lawyers, the legal due diligence experts involved, particularly in real-estate transactions, are technical consultants to review the approvals and to physically check compliance of the construction with such approvals. Most of the diligence experts are usually involved after signing of the non-binding agreements or term sheets. Typically, a title search of a property is undertaken by reviewing of the records maintained by the revenue authorities in relation to the title of the land. Further, searches are also conducted in the office of the sub-registrar of assurances to verify the registration status of the title documents through which the title of the land has been transferred. With respect to the lien or charges on an immovable asset owned by a company, a search is undertaken on the online records maintained by the Ministry of Corporate Affairs to verify any charges registered by the company. With respect to the bankruptcy and litigation, there are no central repositories that exist at this time. To check any litigation on the seller of the property, a search can be conducted on the website of courts that have an online judgement information system. Further, under the Insolvency and Bankruptcy Code 2016 and the Insolvency and Bankruptcy Board of India (Information Utilities) Regulations 2017, public companies registered as information utilities with the Insolvency and Bankruptcy Board of India are empowered to accept and maintain records pertaining to the debts and liabilities of persons, assets over which a security interests have been created, balance sheets and cash flow statements, and instances of default, among other things, from financial and operational creditors. In the event that the purchaser is unsure as to whether the seller has a clear and marketable title to the immovable property the purchaser may consider mitigating the risk by asking the seller to rectify any discrepancy in title prior to its transfer to the purchaser, or alternatively the purchaser can take indemnities from the seller. Warranty and indemnity insurance is not very common in India and is mostly availed of in instances involving offshore transactions. Further, premiums for such insurance are also expensive. determination of the amount of stamp duty and registration fees payable in relation to the lease deed. the seller can forfeit the amounts paid by the purchaser towards the sale consideration, if the purchaser fails to pay the balance amounts of the sale consideration. Furthermore, purchasers typically seek interim injunctions prohibiting the sale of the immovable property to third parties pending the resolution of a dispute, or to maintain the status quo. Depending on the commercial considerations that a buyer wishes to achieve in a real-estate business combination, the financing structure (which typically includes availing of debt financing from a bank, an equity investment or mezzanine financing) is finalised. The cost of the financing plays a major role in such kinds of the financing. Such financing structures are also dependent on the nature of assets. For a rent-generating asset, the buyer may consider a lease rental discounting facility from a lender. In a real-estate financing, the sellers are obliged to provide a clean and marketable title to the property. Also, the sellers are under an obligation to clear any dues or pending payment of the existing lenders. The sellers are also required to ensure the continuity of the leases in the property to obtain and provide all the consents or approvals as may be required to be obtained from the lenders or any other statutory authorities. The seller is also required to ensure that all the insurance policies, approvals, permission and the utilities are transferred or assigned in the name of the buyer, and that the property is free and clear of any encumbrance (eg, mortgage) or alternatively, that require consent from the security holders has been obtained for the proposed transaction. creation of debt service reserve account to ensure the repayment to lenders. Further, lenders also insist that all management of the receivables or cash shall be routed through suitable escrow arrangements and the receivables shall only be utilised in accordance with an agreed waterfall. Besides the commercial considerations of ensuring business continuity, lenders also require that the borrower maintain certain reserves for ensuring timely payment of interest and repayment of the principal amounts. While providing loans in a real-estate transaction, lenders usually require that the borrower should provide exhaustive financial, information-related and negative covenants regarding the conduct of the borrower during the tenure of the loan. In financing related to a project under construction, lenders also insist on the appointment of third-party independent consultants such quality surveyors and project management consultant. Under the Delisting Regulations, a listed public company proposing the delisting of its equity shares is required to provide an exit opportunity to its public shareholders if none of its equity shares will remain listed on a recognised stock exchange. A listed public company is prohibited from delisting its equity shares if a buy-back of equity shares or a preferential allotment of equity shares have occurred. Furthermore, no delisting can take place until a period of three years has elapsed from the date of listing such equity shares. Furthermore, promoters cannot utilise the funds of such a company for financing any exit opportunity undertaken in accordance with the Delisting Regulations. Therefore, these methods of equity financing cannot be undertaken in a going-private real estate-related transaction. Thus promoters or third-party acquirers can participate in an exit opportunity only by utilising their own funds to purchase the shares of the public shareholders. Indian law provides certain advantages to REITs, such as tax incentives under the Income Tax Act 1961 for unit holders as well as the REIT. For instance, the interest income earned by a REIT from an SPV and rental income derived by REIT from real-estate assets is exempt at REIT level, but the same is taxed at the unit-holder level and such amount can be distributed to unit holders subject to applicable withholding amounts. Exchange of shares of an SPV with units of REIT is tax-neutral for the promoters. Further, transfer of listed REIT units on the market or unlisted REIT units in an IPO would be subject to Securities Transaction Tax and eligible for concessional capital gains tax rates subject to prescribed conditions. Category III FPIs (eg, charitable trusts, corporate bodies, trusts and individuals). The Foreign Exchange Management (Transfer or Issue of Security by a Person Resident outside India) Regulations 2000, among other things, limit investment by FPIs through subscription or purchase of equity shares or convertible debentures of an Indian company to 9.99 per cent of the total paid-up equity capital or 9.99 per cent of the total paid-up value of each series of convertible debentures of an Indian company. However, no such limits have been prescribed in relation to investment in non-convertible debentures by a FPI. Private equity funds can also be set up as domestic funds under the ambit of SEBI (Alternative Investment Fund) Regulations 2012 (the AIF Regulations) as Category II alternative investment funds (AIFs). However, the AIF Regulations prescribe that Category II AIFs should primarily invest in unlisted securities of an investee company or units of other AIFs. Therefore, while evaluating the options and structure for a private equity fund making construction and development oriented investment in India, certain aspects such as the extent of liability on investors and managers, tax treatment of the returns accruing to the investors, and the legal obligations and benefits accruing on account of choice of fund vehicle will have a bearing on the resultant private equity fund. Additionally, since the advent of goods and services tax, India is closer to having a single market with a single tax regime, as opposed to different tax structures and mechanisms that were implemented by each state. This development has also seen an increased focus in developing and leasing out warehousing spaces as retailers and fast-moving consumer goods companies are consolidating their respective supply chains. Further, from a regulatory standpoint, investment caps have been introduced for investments in non-convertible debentures through the FPI route and the units in special economic zones have been permitted to raise external commercial borrowings for their own requirements.